Let me tell you about a dream I once had. I know, I know; nobody’s interested in listening to other people’s dreams, but I promise that it’s relevant to your question about my relationship with Viola. Most of my dreams can be pretty fantastical and bizarre, and this was no exception, but it started out so normal that it felt like any regular day. I woke up, got dressed, and went to school. I was the only one there, though. I didn’t even hear a vacuum, or the chanting of the magic club. I checked my phone, and it wasn’t the weekend. There also wasn’t some nationally recognized holiday. There should have been no reason for the school to be closed. I was about to leave when I heard singing. I waited to listen, and discovered that the singing was getting closer. 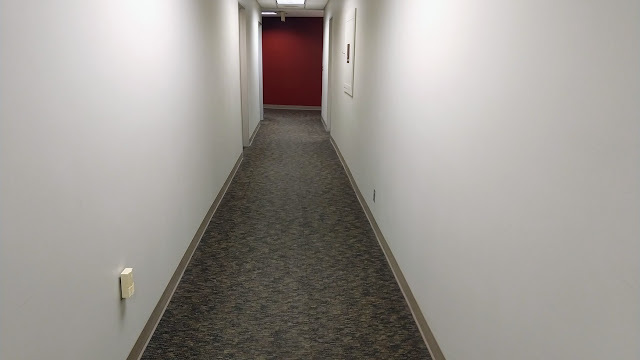 Someone I couldn’t see was walking towards me, down the empty hallway. I turned around and watched as Viola literally faded into view out of nowhere, and as soon as she did, the singing stopped. I asked her what was going on, and she said that school had been cancelled for no reason at all. Everyone should have gotten the message, and she didn’t understand why I missed it. I was just surprised to be the only one. You would think at least one other student fell through the cracks. I then asked her what she was doing there, and just like her, she said it was her job to tell me what was happening. Anyway, I don’t have anything better to do, so we spend the day together there. We watch a movie that we find in one of the English classrooms; I can’t remember what it was. We conduct ultimately disappointing unauthorized experiments in the chemistry lab, and we fix a car in the industrial arts wing. I am about the furthest a person can be from a mechanic, but we worked on it for a long time, and got it running again. Looking back, that probably messed with someone’s assignment, but we figured we were helping. I don’t know why we did all this, or what it was meant to accomplish. This didn’t have an incredibly profound affect on my life, and I didn’t really change for the better. It was a lot of fun, and I’m glad it happened, but what we did that day wasn’t the weirdest part. The weirdest part was that after what would have been normal school hours, I went back home, and never woke up. I experienced time exactly as it was meant to be experienced, I could read text that I had never seen before, and when I needed to use the restroom, I was fully able to. These are all common signs that you are not dreaming. That’s the first twist. I lied to you, because this was not a dream at all. This actually happened, and at no point did I believe it wasn’t real, until we reached the second twist. The second twist is that not a single person had any recollection of a day off of school. I tried to tell people about it once classes resumed the next day, but they had no idea what I was talking about. We all knew it was Thursday, and I had memories of being only one of two people here on the Wednesday prior, but everyone else thought things had gone on as normal. They could even recall information they learned in their Wednesday classes. But I know I wasn’t dreaming, and when I asked Viola about it, she refused to explain fully, but did assure me that I was the one with the right memories, and it was everyone else whose minds were messed up. I never did figure out why it was this happened, but I always attributed it to her, and now I know it must have been. If you ever learned how she did this, or why, please let me know. She must have had a good reason.